Locally owned and operated – We’re All About Austin! 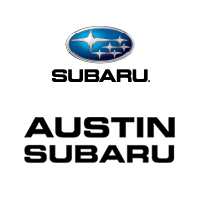 Come visit Austin Subaru, where we are known for our community involvement and outstanding customer satisfaction. • Proud partner of Austin Pets Alive! • Market-based pricing – Simple, straight-forward, and honest.